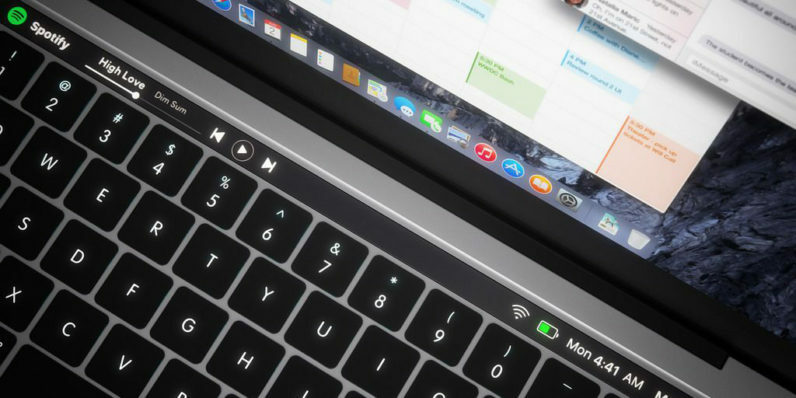 The new Apple MacBook Magic Toolbar we’ve all been dreaming of seems to be a reality… probably. Two weeks earlier, on January 22, the company filed documents to incorporate. Curious timing. When you apply for a trademark, under the Paris convention you have 6 months from the date of that originating application to apply to other convention countries and have the date of those later applications be recorded as the date of the initial application. Between the suspicious timing and the ‘Magic’ moniker (Magic Mouse, Magic Trackpad, Magic Keyboard, etc. ), I’d be shocked if this wasn’t Apple. If in some alternate universe it proves to be another company, the mystery LLC just spent a lot of money for Tim Cook and Co. to contest the application based on prior trademarks with the ‘Magic’ moniker. All told, the company spent over €16,000 ($17,550) in filing fees. Put simply, whomever did the filing needed deep pockets. Then there’s this striking similarity. The same lawyers that applied for the ‘Airpod’ trademark in Indonesia, Canada, and Malaysia are those listed on the application for the Magic Toolbar. Even the (now confirmed) October 27 date of the supposed unveiling is suspect. The company would have to apply globally for trademark protection on additional terms it has filed for trademark protection on, which aren’t in the public domain. Terms like ‘Smart Button’ (which may be the rumored TouchID integration), ‘Touch Bar,’ ‘Apple Smart Button,’ and ‘Breathe’ (whatever that is) are all protected, but not globally. The company would have to file for global protection on Breathe, Smart Button, and Apple Smart Button the day before the event. The day after coincides with the last day to file for global protection on Touch Bar — which would allow Apple to file late in the day before the event and cross its fingers no one finds out. Again, we can’t confirm anything, but The Trademark Ninja seems to have unearthed some compelling evidence. If we had to place a bet, it seems rather safe that the rumored OLED bar is going to happen. But, I guess we’ll have to wait until October 27 to find out. Apple representatives didn’t respond to repeated attempts to contact them. We’ll update this post should we hear back from them.